Ladies and Beasts, Let's get ready to rumble!!!!! My fellow burger loving friend, Burger Beast knows how to throw an event PARTY. Burger Brawl 2014 was an awesome event that featured several great burgers from great chefs and restaurants around South Florida. I ate 25 burgers in less than an hour for $25. As BB would say "Ay Mama!" It should be noted that BB respects his attendees and refuses to oversell an event. That means you will be able to eat all of the burgers at a relaxed pace. AND it means you better buy your tickets early as this will sell out fast. 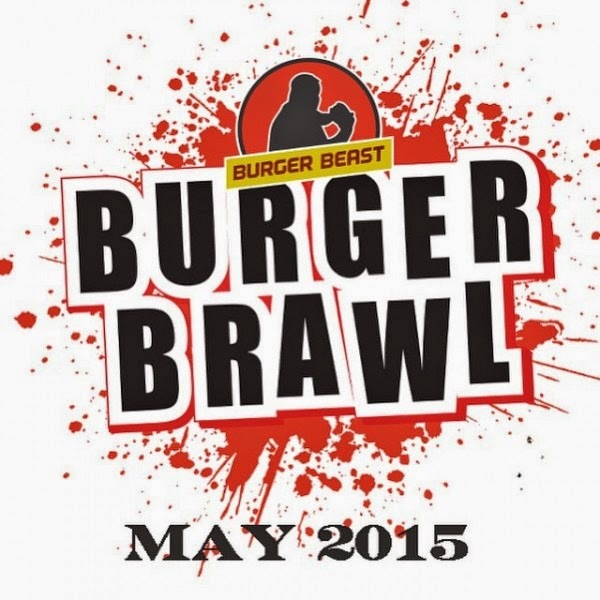 On Friday May 15th, 2015 from 7 to 10PM at Magic City Casino, the Burger Beast Burger Brawl will go down. The attendees will choose the 5 finalists. Our three esteemed judges will choose one winner. This event is Indoors at Stage 305 at Magic City Casino. The $50 all inclusive tickets ($25 during PRESALE) will get you samples from 20 great Burger Joints, Other Snacks & Soft Drinks.